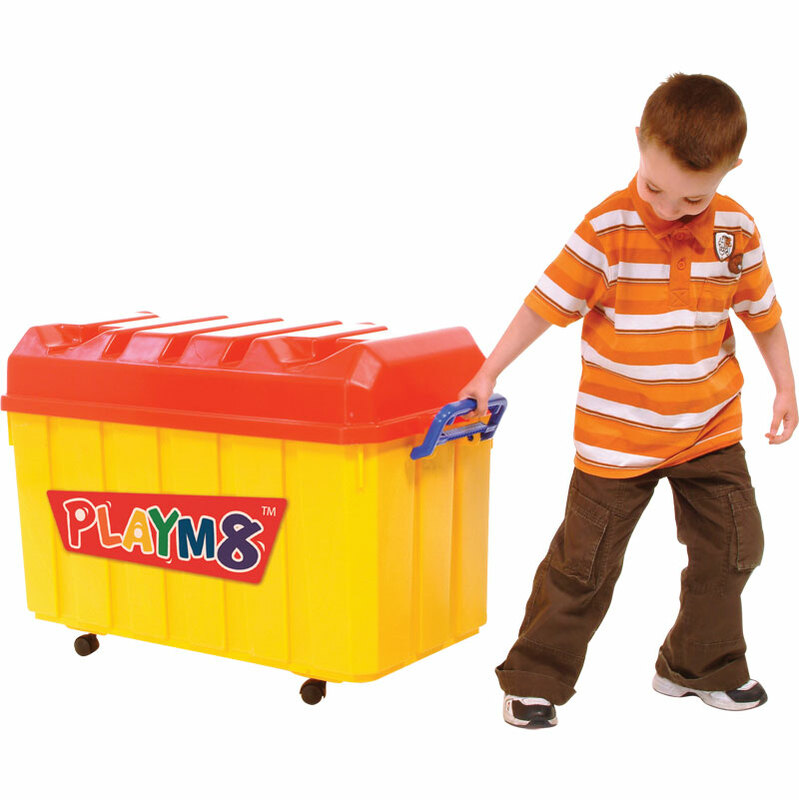 The PLAYM8 ® Giant Storage Chest is perfect for storing all your play equipment when not in use. Storage chest with clip on lid and wheels for easy manoeuvrability. Wheels lock in lid for stacking. Size: 890 x 445 x 600mm.